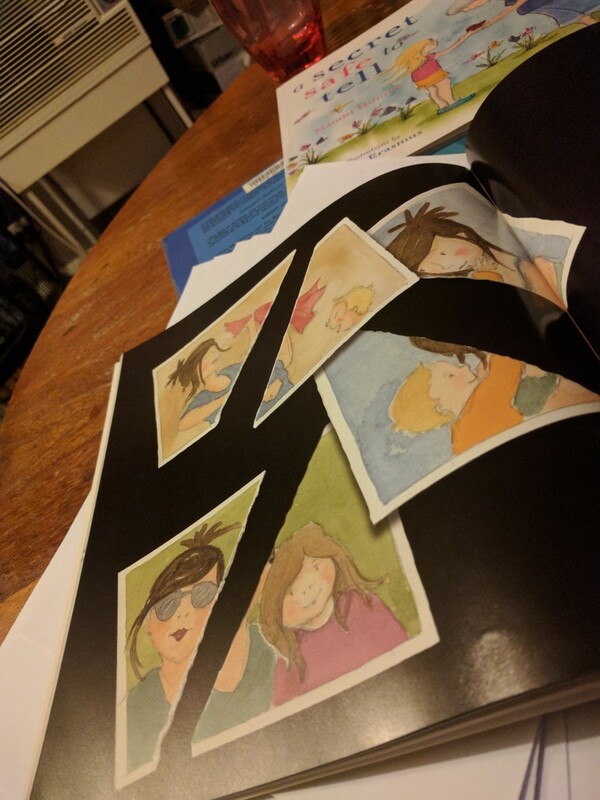 “Dad, why are the photos ripped?” I’m part way through reading a book to my son that’s explaining a pretty complex issue, and I was choking up a bit. I found myself hoping like hell this story was going to resolve and be okay. It was a lovely story. It was an important story. We were reading Even Mummy Cries by Naomi Hunter, a book from Empowering Resources. The series brings up hard stuff to discuss with your children. Stories of difference, stories of struggle and stories of secrets. Stories that brought tears to my eyes, but stories that we need to share. Immediately I thought of The Mamanator. That amazing women that I have loved for longer than I remember, who brought my children into the world and who nurtures and nourishes them mind, body and soul. I thought of her because she has depression. Yes; Even the Mamanator cries. “Mum has depression, but it’s not your fault.” doesn’t really resonate with a 5-year-old and a 3-year-old without explaining the illness. It’s an uneasy topic because, as much as I know about it, about how it’s chemicals in the brain, how its episodic and how it’s just the way she was born, a little voice inside me always whispers “Yeah, but we all know it is really you’re fault”, “You can’t make her happy!” or “YOU MUST FIX THIS!!!! WHY CAN’T YOU FIX THIS!!!!?!?!”. And that’s my 36 year old brain struggling to process the reality of depression. So I look at my children, and we read the story instead and we look at the pictures, because we’ve always used stories to explain things to them, haven’t we? We use stories to explain where we come from, how to behave, why there’s a mountain over there. So this is a story that tries to explain that even mummy cries, and that’s okay. In some ways I hated that the kids asked questions in the sad bits of the book, when “Mummy’s Sadness Explodes and she cries”, or “When we are scared of always being too small…”. That’s when my kids asked questions, where we paused and talked. Part of me just wanted to skip ahead, to show the kids that mummy gets better and that everything is okay, but the more I think about it the more I realised that’s not the purpose of the book, and that’s not how it works in real life either. These darker times can’t be rushed, glossed over or skipped. You can’t just turn a few pages in your life and get to the good bits sooner. These times have to be lived through, acknowledged and accepted before we can move on, just like in Even Mummy Cries. Parents aren’t invincible. We don’t get superpowers when our kids arrive, we remain flawed and we struggle with the same demons we always have, even after little ones arrive and bring so much light into our eyes. It’s so important that we find ways to let our kids know that we are human and imperfect; and that we still love them even though we get sad, angry or tired. I’ll leave you with this: It is a recording of me reading it to the kids. In spite of the comical set up, the fidgety kids and the general farnarkling we do get around to reading the book, and you’ll see where my son asks some tough questions. If you look closely you might even see a tear in my eye because, like I told my son, even daddy cries sometimes, too. Even Mummy Cries is a great way to start difficult conversations with your children, thanks Empowering Resources for sending it through. « It’s been a while…..
Beautiful post. Being married to someone with depression is really hard sometimes because you’d give anything you could for a fix, but that’s just not an option. powerful read man, and an important one.